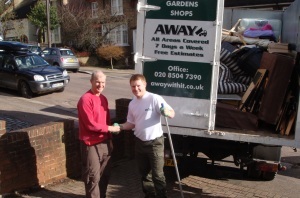 Away With It has been providing garage clearance Dagenham residents trust and are happy to recommend for nearly 15 years. 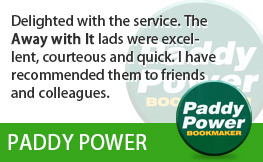 They love our flexible same day service and the fact that we offer some of the lowest prices in the market. And we think you will too! If your garage is so full there’s no room for your car that’s a sure sign it’s time to call in the garage clearance professionals. Or perhaps you are planning to move and need to get rid of all the junk that has accumulated over the years? No matter what your reasons are for needing garage clearance in Dagenham we will happily take away all your unwanted items. Quickly, efficiently and with no fuss. And all at an affordable price. 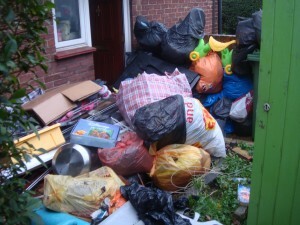 So, what you can expect when you use our garage clearance service? 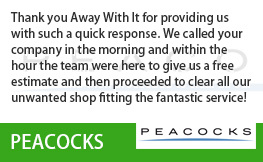 In contrast to many waste removal firms who turn up when they feel like it and charge you an arm and a leg for 5 minutes work we take customer satisfaction seriously. 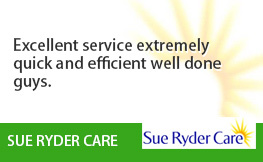 We want you to be completely happy with our work and to feel like you’ve got good value. 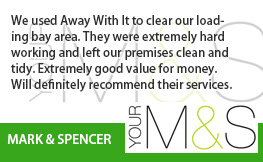 Ensuring you get the best garage clearance service possible is our top priority. First of all, we offer a completely flexible service. 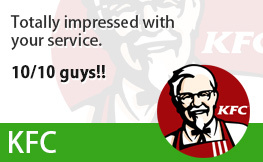 We will always offer you a two hour collection slot that’s convenient for you. In the vast majority of cases we are able to collect the same day. And since we work from 7am to 11.30pm seven days a week early morning, evening and weekend collections are never a problem. When you call to book garage clearance Dagenham we’ll allocate a two-hour time slot so you’re not left hanging around all day. An hour before we’re due to arrive we’ll call ahead to let you know exactly when to expect us. 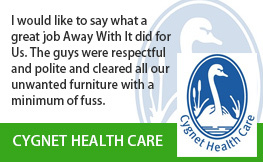 We’ll give you a free cost estimate over the phone. Then on arrival we’ll do a quick visual inspection and give you a firm price quote based on the amount of space your junk will take up in our lorry. After the job is done we will always sweep your garage and driveway and leave them clean and tidy. We are committed to being fully transparent in our pricing. 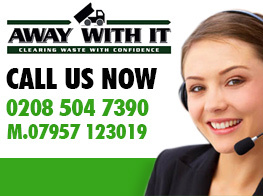 The price we quote will include all labour, transportation and disposal fees.. There won’t be any surcharges or hidden extras so you won’t get a shock when we present you with the bill. To talk to a member of our friendly expert team about your requirements for garage clearance Dagenham give us a call on 0208 504 7390 or 07957 123019. We’re available to take your call 7 days a week and will be happy to answer your questions and provide an accurate all-inclusive cost estimate before booking you in.